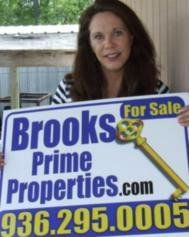 Deb's Lake Conroe Real Estate & Stuff! : Huntsville Texas Looking for rain! Oh so sorry about your drought. I just got to Austin today for a few days and man is it HOT! Deb, you are in your prayers and the entire state of Texas and Oklahoma. I pray you receive that much needed rain. We finally got rain the last two days. It has been a welcome break but we are still in a drought, too. Deb-I will most definitely keep you and the drought in TX in my prayers. Have a great week. God I am so with you Deb! My yard is shrinking it looks sooo dry. I have to sneak out at night and water. We need Rain! It spit on us here a little in San Antonio on Friday and Saturday, but no more. Weather forecast shows chance of Rain tomorrow and Tuesday! this year is really testing us all in many different ways, weather and natural devestation are everywhere, we sure hope you will get as much water as you need for a much more balanced year next year. Deb, we had a couple of days of rain last week. Hopefully, that system has moved down to your area. I'm very, very concerned about all of the big trees. Wow Deb so sorry-I knew it was bad but not that bad. Those big trees have deep roots so hopefully they are tapped into something. Lets hope for big rain now! I hope you get the relief you need Deb.